I’m obsessed with personality science. I have written extensively about introverts, extroverts and ambiverts, the unique strengths of each, and how those can be leveraged for success. But never before have I examined how personality science can make you a better manager. Personality science is a secret door into being a better manager. We’ll give you concrete examples of how to handle employees who are low or high in each facet. We will help you deal with the common issues you’ll run into as a manager — delegation, problem employees, conflict resolution, communicating your ideas effectively, and winning buy-in from your team. This guide will show you how to be a good manager who is respected and valued for who you are. Personality is all around us, and it contributes to nearly every conscious decision we make. But, most of us have no idea how it works! We might consider personality on our romantic searches–looking for a partner who “matches” us or who is similar to us. Or we seek out friendships with people who complement our personality tendencies. Personality is just as important in the workplace as it is romantically and socially. 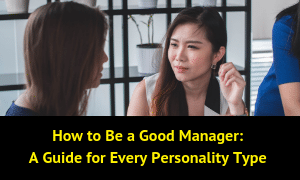 If you want to know how to be a good manager, you must understand the personality of your colleagues, employees, and team. Knowing the personality matrix of the people you work with every day is a super tool as a manager. Here’s the problem: Personality science is about more than just taking a quiz (Although you can do that below too!). It’s also important to know how to take your results and optimize for them. And, by the way, most personality quizzes are bogus! Most personality tests are introspective, meaning they give you lots of feedback on your individual personality type, but nothing on the personality of anyone else. This isn’t helpful for leading teams or understanding those around you. Robert McCrae and Paul Costa developed the Five-Factor Model (aka The Big Five). And can be easily remembered with the acronym OCEAN. These factors are measured on a spectrum, meaning someone will fall high, medium or low on a spectrum for each trait. Let’s take a peek at Extroversion. If someone falls high on the extroversion spectrum, we’d say they are an extrovert. Someone on the low end is an introvert, and someone in the middle in an ambivert. Despite its lack of scientific backing, the MBTI is taken by more than 2.5 million people every year and used by 89 of the Fortune 100 companies. Many people who take it cling to their rating (“I’m an INTJ!” or “I’m an ENTP!”), but what the MBTI doesn’t offer is a way to succinctly understand the personality of others. To be an effective manager, it’s no longer just about you and your tendencies. You have to consider the personalities of your team, and the best way to do that is with the Big Five tool. Curious about your team’s traits? Forward this article to them and discuss your similarities and differences. Now let’s dive into what each of the personality traits means and how to leverage their strengths and weaknesses. Remember, there is no best or worst personality trait. We tend to idealize certain traits, such as high openness and high extroversion — but we need the entire spectrum of the five facets on a team. Openness is your feeling toward and tendency to like new ideas. This trait also determines your curiosity and your preference for change. It dictates if you thrive in new environments or prefer tradition and routine. A manager needs to know each team member’s openness because it’s important to understand someone’s flexibility and adaptability within the team. If you know certain team members are adventurous and curious to try something new (high open), they are best served to experiment–to test out a new product, to try out a new system or software. If you know certain employees are resistant to change or prefer the status quo, they are your best asset for maintaining a team’s operations of a team. For these team members, delegate tasks post-experimentation, once a new system or process has been decided upon. Give them time to explore. Google encourages its employees to devote 20 percent of their time to side projects. This helps high open team members to flex their creative muscles, while staying committed and focused on other responsibilities. Provide a timeline. High open employees can be distracted by new shiny, objects. So, be clear on overall timelines and due dates. Partner with them on change initiatives. Do you have a company-wide change to implement? Collaborate with your high open team members to communicate the message and support the team. Communicate regularly and ahead of time. Low open employees are resistant to change, so be sure to be thorough and detailed about any changes in structure or processes. Set a team tradition. Low opens love routine and tradition, so consider a Friday team lunch or monthly happy hour at a favorite spot near the office. Allow private brainstorming. It can be challenging for low opens to brainstorm on the spot or quickly think up big, creative solutions. Send over a prompt before a meeting to give your team time to think through and process ideas. Conscientiousness is how dependable you are and how much you like organization. This factor dictates if you are timely and detail-oriented, or more scattered and a big-picture thinker. A manager needs to know each team member’s conscientiousness because this trait contributes to operations running smoothly (possibly more than any other trait). This affects someone’s tendency to get things done, show up on time, and capture the mechanics of projects and processes. If you know certain team members love to-do lists and an organized calendar (high conscientious), use their natural organizational skills to set up project assets, reports, and tasks to achieve short-term goals. If you know other team members are bogged-down by details (low conscientious), partner with them on big-picture strategy and long-term goals. Give explicit directions. A high conscientious team member is excellent at following directions and completing multiple tasks within a project. Don’t offer vague or general terms–be as specific as possible. Offer regular check-ins. High conscientious employees want to know they’re on track and meeting metrics. Create auto-reports for web traffic, sales, client acquisitions, or other metrics to share weekly with your team. Plan, plan, plan! Team members high in conscientiousness prefer to know what’s happening as opposed to dealing with spontaneity. As often as you can, provide overviews and agendas to set expectations. Use a project-management tool with visual options. Asana is a great productivity tool for high and low conscientious teams, as it offers a list-form (to track each and every task) as well as a board-form (to track big-picture responsibilities). Spare them extraneous information. Low conscientious team members will feel flustered with too many details. In your check-ins, consider offering a basic overview of the team’s progress and reports as an attachment for optional review. Be patient. Sometimes things will fall through the cracks as organization doesn’t comes as naturally for these team members. Extroversion is how your energy level is affected by people and external stimuli. 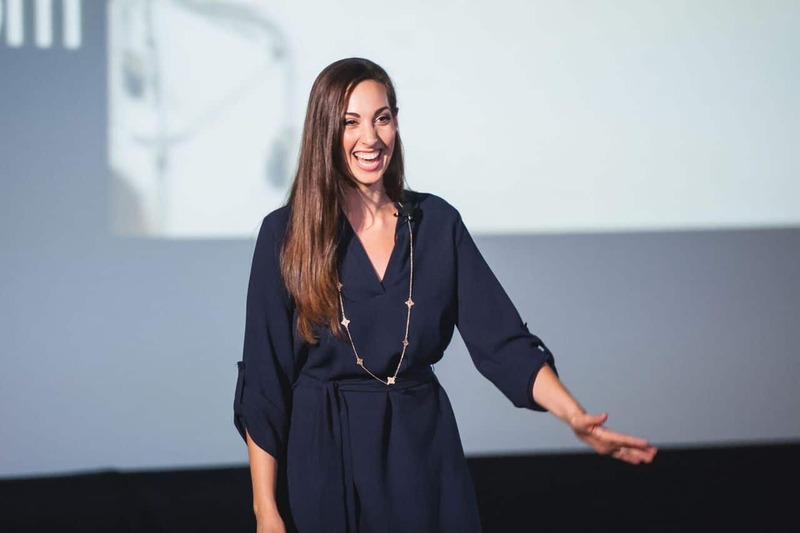 This trait dictates how you engage and interact with the people around you, and how you respond to environments, as well as how you recharge your batteries. A manager needs to know each team member’s extroversion because it contributes to the relationships among the team. If you know certain team members thrive and recharge in the company of others (extroverts), then encourage them to build their professional network through in-office and out-of-office events. Should managers socialize with employees outside of work? Extroverts crave bonding, so leverage happy hours to get to know them better. If you know other team members prefer solitude and quiet space (introverts), respect their privacy and desire to be alone to focus and work. Introverts often prefer long-form tasks and prefer small group collaboration to team-wide initiatives. Encourage off-site lunches. Extroverts need to expend energy through communication and connection with the people around them. So, offer the option for your team members to get to know each other more during lunch and breaks. Partner with them on employee engagement activities. 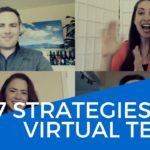 Ask them for their ideas on bringing the team together for camaraderie and growth. Set appropriate office boundaries. Extroverts like to make their rounds, chat with everyone, and, sometimes, enter offices unannounced. Consider a “knock first” policy or an “At your desk by 9 a.m.” standard. Don’t force it. Introverts may get skittish if required to attend an after-hours happy hour or event. Consider offering optional get-togethers throughout the year that cater to the introverts of your team, such as an art gallery visit or intimate cooking class. Set aside a quiet place. 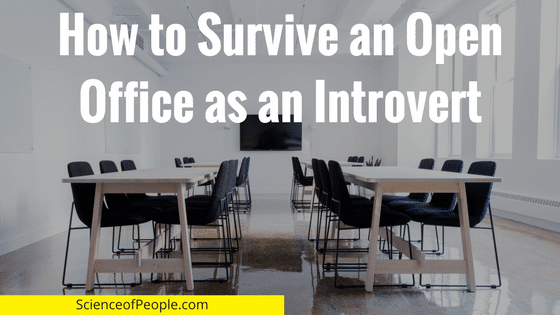 Open offices aren’t an ideal working environment for introverts due to the constant foot traffic and noise. If you can, use a conference room as a “quiet zone” or require headphones and headsets for music and calls. Give them one-on-one time. An introvert is less likely to speak their mind in a big team meeting. Ask for their feedback in an individual or small group check-in. 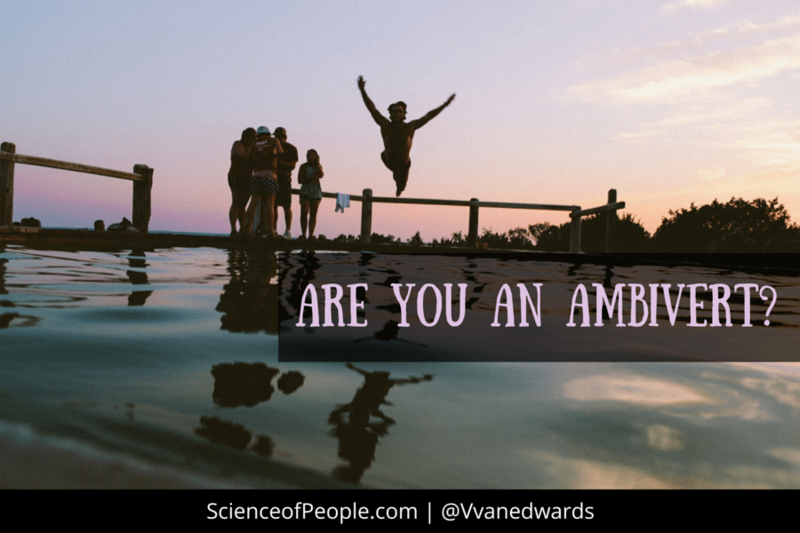 Someone’s agreeableness is how cooperative and compassionate they are with others. Your agreeableness also dictates if you are more suspicious or more trusting toward others. It also speaks to whether someone is generally well-tempered or competitive. A manager needs to know each team member’s agreeableness because it is essential for how each person will do on a team. If you know certain team members are trusting and cooperative (high agreeable), they might be great for camaraderie and trying new things. If you know a colleague is competitive and suspicious (low agreeable), they might be great for practicing a tough pitch or poking holes in an idea. In an interview, a good manager can use agreeableness to predict how to manage difficult employees — who might be easygoing on a team or competitive. Put in a request through email. High agreeable employees often will say yes without thinking — and then forget they said yes in the first place. Putting a request in writing creates a paper trail and allows them to think about their answer. Let them think about an answer before responding. High agreeable people have the tendency to over-commit, saying yes to everything because they want to please people. Help people-pleasing high agreeable people (Who mean so well!) to start saying no by giving them time to check their schedule and think about something before committing. Brainstorm with them for encouragement. High agreeable people are natural cheerleaders. As a manager, it is great to go to them when you need to whip up support on a team. Give data to back up your opinion. Low agreeable employees want to see the research, facts, and figures to support a claim. Providing them with objective items to review usually lowers their feelings of skepticism. Let them research on their own. In addition to giving them data, allow them to do their own due diligence on an idea or suggestion. Low agreeable team members love turning to Google and other search outlets to seek solutions or counterpoints. Brainstorm with them to tackle the hard questions and get to a “fix.” Low agreeable employees sometimes like arguing or playing devil’s advocate for the sport of it. Don’t let their challenging nature distract you from solving the big issues. Neuroticism is your tendency to feel anxiety and how you process being worried. Basically, it’s how you deal with emotions. A manager needs to know each team member’s neuroticism to understand how their emotions and moods can change based on environmental and intrinsic influences. If you know certain team members tend to be more sensitive and nervous (high neurotic), you want to maneuver through challenging workplace events and situations with care. These team members may need more hand-holding and reassurance in difficult or distressing circumstances. If you know other team members are more secure and emotionally stable (low neurotic), they will be your support system during any unknowns. These employees should be championed for team morale efforts and turned to when you need managerial support during a challenging time. Know their triggers and their calmers. For your high neurotic team members, be observant to what stresses them out and what calms them down through regular discussion and resolution of their worries. What can you help solve? Offer private feedback. High neurotics are sensitive by nature, so group feedback or criticism will make them feel attacked. Invite them into your office or out to coffee for private discussion. Capitalize on their tendency to globalize problems. High neurotics are pros at thinking through every possible consequence to a decision. Get their input before making any big changes and, of course, if changes are to come, squash their fears by communicating early and regularly. Use them as your therapist (okay, not really). Low neurotic employees are often the rocks of an organization. In difficult situations, turn to these employees for your own peace of mind that you will get through this and they’re here to help. Push back on the “It’s all good” mentality when it’s really not all good. Low neurotics don’t panic and sometimes miss the boat when it comes to dealing with issues that require a plan or reaction to stressors. If a problem is serious, communicate the details and your expectations for their responsibilities. Don’t forget about them. Low neurotics tend to fly under the radar as they aren’t typically involved in company drama or team dynamic issues. If your team is being fueled by anxiety, be sure to make time to champion your low neurotics and thank them for their security and contribution to the team’s wellness.